"We increased registrations more than 300% over last year! 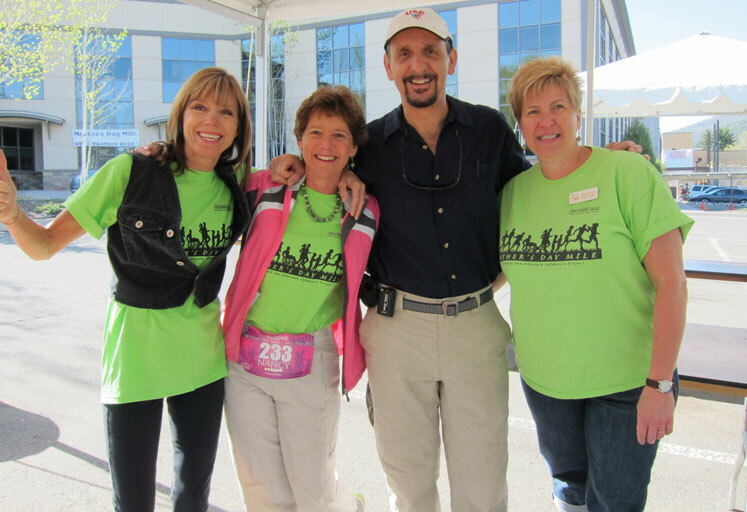 Running Guru has been perfect for us because our race is a grassroots effort that gets all our volunteers involved without handing it over to a professional management company. The system and support give us the tools we need to manage and grow our event!" "The experience and strength of a company like Running Guru will give us the instant credibility we're looking for," said Curtis Claar, co-founder and Sponsor Relations Manager for Bigwig Races. "We weren't only looking for a great price on processing registrations, but we wanted a company that we felt would support both us and our race participants with the energy we would expect." 2012 marks the 30th anniversary for the Rocky Mountain Feline Rescue, and to celebrate this milestone, we decided to have our first ever 5K walk/run. To say we had no idea how to begin is putting it lightly. I have no experience creating web pages and the Running Guru system makes it so easy! Their technology is amazing and the Running Guru team has been a tremendous help in the rare instance I got stuck on something. I would recommend Running Guru to everyone planning a race, from the first timers to those who have hosted dozens of races, and we will definitely be back next year! The numbers say it all! We increased our racer count by 38% by switching to Running Guru! The staff has exceptional knowledge when it comes to marketing and attaining sponsors. They're also race savvy. The registration site and all its features are a perfect fit for us. We also were able to add features that worked for us in making the registration process a breeze for our customers. I highly recommend Running Guru to anyone that I talk to about what a great experience it was in working with them! This was my first year switching online registration to Running Guru. I was more than pleased with the service, attention to detail, immediate call and email back, and accuracy of the registrations. The team at Running Guru was friendly and on top of everything. No question was too silly and no problem insurmountable for them. The timeliness of the checks to our benefit Advocate Safehouse Project was greatly appreciated. All around I was impressed with the operation. We'll be back for out 13th running of the Mother's Day Mile next year with Running Guru on board! And I especially appreciate the attention to detail, customer service, and prompt follow-up that Running Guru provides for any of my questions. And as a distance runner himself, the founder, John, “gets it” and is very innovative. He takes the time to understand my needs, and is routinely providing me with new options to improve the experience for my clients, resulting in a more streamlined and efficient business process for me. I'm now in my second year with Running Guru as our race registration partner and I could not be happier! They are responsive when I have specific needs and immediately get back to me with solutions. They are respectful of our participants and do not bombard them with emails, advertisements or obligations. Our charity relies heavily on our event to raise funds and partnering with a responsible company is key to our success. In these times of faceless service and competition with other events and charitable organizations, Running Guru has lived up to very high standards. They are great! The LHS Foundation is a fundraising arm of Lakewood High School, and every fall we put on the Tiger Prowl 5K Run and Walk to raise money for athletic and activity groups at the school. I love being involved with the Prowl, but I have little experience in being a race director. Thankfully two years ago I found Running Guru, a great group of people who help us set up a fun and very professional 5K event. Running Guru's on-line registration has made sign up very easy for participants, and the race day coordination is outstanding. The post race photos were a big hit with all the runners and walkers. I would tell anyone involved in race planning that they need Running Guru to be with them every step of the way. Running Guru; cutting edge, seamless and innovative on-line registration.Running Guru allows us to develop and set-up our own on-line registration page that fits our clients' requirements!